Millets are small-seeded grasses— widely known as cereal crops, grown and consumed by people all around the world; animals as well. The multifaceted properties of this crop allows people to live a healthy life in a world where sedentary lifestyle is slowly taking over, putting lives at a great risk. The crop is not just preferred for its health benefits, but also for being the easiest to grow; in any given space or time. Since millets does not need any particular weather or succulent grounds for it to produce grains— mostly grown in semi arid areas. They are pretty much cultivated come drought or storm. Here are a few health benefits of whole grain millets. It is hard for people to swear off carbohydrates. Some may even say that it’s (close to impossible) to give it up entirely. And the thought of dieting those extra pounds away, sends a chilling shudder down your spine. Millets are best alternative whole grains for rice and wheat, that help mitigate the urge of binge eating. Including millets in your diet keeps your hunger satiated for a long period. Millets are low fat whole grains. Consumption of millets, even in excess amount won’t make your cholesterol level skyrocket. But in fact, help you maintain it at a healthy level. Incorporating millets in your diet daily, would also help you dodge many lethal heart disease such as strokes, artery blockage, heart attacks caused by excess fats present in the regular food, even when just a morsel is consumed. The prostaglandins that is responsible for period cramps, can be reduced if magnesium is taken daily. 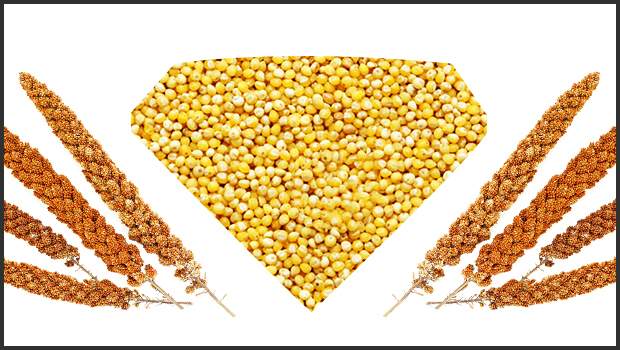 Millets are the type of grains that are not only rich in vitamins and proteins, but also are rich in minerals. A mere cup comprises of 28% of magnesium, than can help soothe the smooth muscles of uterus during a woman’s menstrual cycle relieving the pain. Millets are rich in fiber, which means, the more you add it in your diet, the longer it is going to help you ward off the evil gallstone. Studies have proven that people consuming a diet that has more fibre in it— which millets is known to be a plethora of, have less chance of having gallstones than the people who don’t. Researchers have zeroed in on a theory that says: women who follow a fibre rich diet are able to dodge breast cancer. This is not a drill. As fibre rich diet helps lower cholesterol level by making the digestive system process food quicker and distribute fat evenly throughout the body. Millets grains contain fibre in excess amount. Taking only one cup of these grains each day will reduce your risk of getting breast cancer by 52%. The symptoms of hypertension are not apparent and can remain undetected for several years. Taking magnesium in copious amounts helps reduce blood pressure by a great deal.